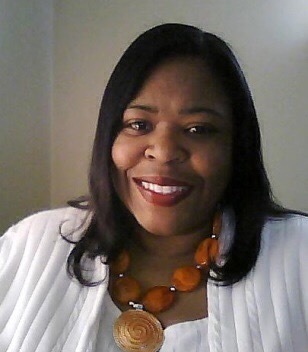 The 30 Days, 30 Authors event continues with a very talented author, Toye Lawson- Brown. If you don’t know this author’s body of work, then you should definitely read one of her great stories! Toye Lawson Brown lives in Cleveland, Ohio. She is an Amazon bestselling author of romance that includes interracial romance, romantic suspense, and multicultural novels. Her multicultural books were nominated for Breakout Author of the Year (2014) and Best Interracial Romance (2015) by the B.R.A.B Book Club. Also, The Men of CLE-FD was nominated for a Reader’s Choice Award for IR/MC best series. Each novel is a journey into the lives of strong characters with ordinary backgrounds. Always a sucker for a happy ending, Toye Lawson Brown strives to lure readers from the present and to her fictional world. Toye would love to hear from readers. Feel free to drop an email at: toyebrown@gmail.com or visit her website http://www.toyebrown.com, or join her blog at http://www.booksbytoye.com. Follow her on Twitter @quietbreezes. I have a large library so I’m inserting the link to my author page on Amazon. 1.​Besides writing, what else do you like to do? Besides writing, I like to cook and of course read. I used to sing in a gospel choir but that was years ago. I love listening to music, mostly old school artists like Patti LaBelle, Toni Braxton, Charlie Wilson, just to name a few. 2.​What inspired you to become an author? ​I’ve always wanted to write. When I was younger, I would write stories in a journal. Then I started writing stories and reading them to my kids. As a reader, there were books to read by not many in topics I was interested in so, one day, I was the computer and decided to write my own book with the characters that I wanted. 3.​What was your first reaction when your debut novel was published? ​I could believe it when I held the shiny paperback book in my hand. I had completed a dream and I was in heaven. I might not have received the raving reviews I was expecting but I took all criticism as constructive and continued to hone my craft. 4.​Where do you see yourself in the next 5 years? ​Churning out lots of books. I recently retired after 28 years of service at my company. I started with the company young and took advantage of the years of service to leave at an early age and start my next phase of life writing full time. My husband and I are already planning on the places we want to travel so I can start my backdrops. I am so looking forward to it. 5.​What advice can you give to anyone who wants to become an author? ​I advise all aspiring writer to just write but to stay in a genre that they are familiar with. I’m not saying not to branch out, but to gain an audience by doing what they know best before branching out to other genres. If you gain a good following, they will check out the new works and maybe bring other readers to that genre. “You aren’t late; I’ve only been here five minutes,” she said standing to hug him. “Our server could be a man, and then I’ll wonder the same. You get more beautiful each time I see you,” he said with a sly grin. “Oh, we’re starting off with the short jokes and ending with the embarrassing jokes. Fire away, I’ve been dealing with them all my life. Give me one I haven’t heard before,” she said still laughing. He propped his elbows on the table and folded his hands. “Okay, how about this? You are the right height to cuddle in my arms as we nestle on the couch or in the bed together. I’d hold you close to keep you warm on a cold night or safe whenever you felt scared.” Alex saw her eyes shift, softening; he’d scored a point. He didn’t know how many he needed to impress her but felt he was on the right track. I love the interviews and just found out more about one of my favorite authors – Toye!! I’m glad you’re enjoying the interviews, Cafediva! Thank you so much, Cafediva!